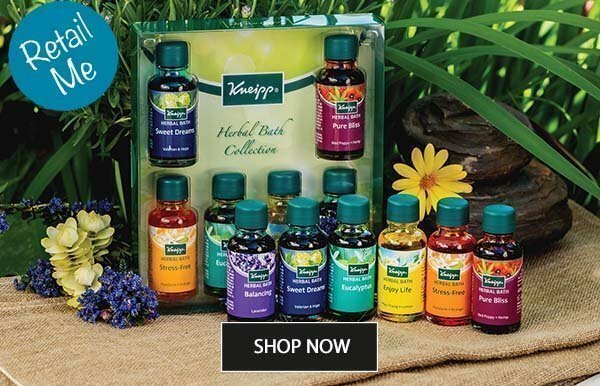 Awaken your customers to the Kneipp experience and discover the power of water, plants and herbs. 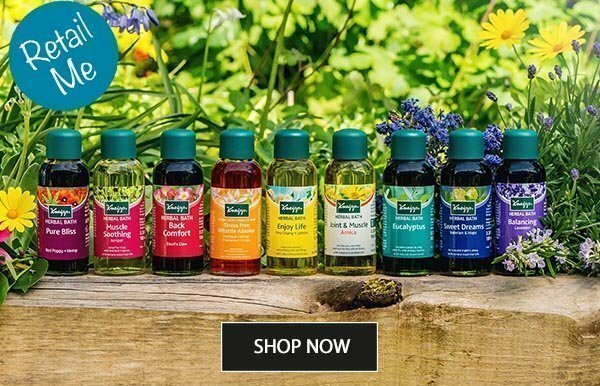 Kneipp has created functional, innovative products for health and wellbeing using only natural, quality ingredients, harnessing the healing power of nature.Kneipp believes in total wellness for body, mind and soul. Let your customers take the spa experience home with them. 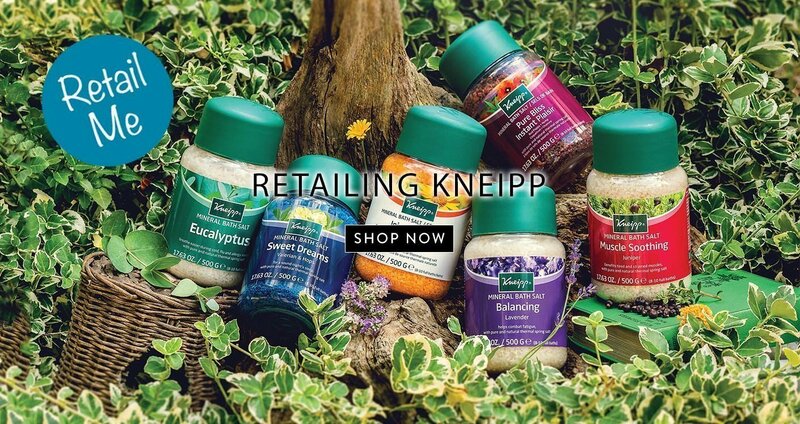 Kneipp is perfect to retail in your Salon, Spa, Pharmacy and Gift Shop. 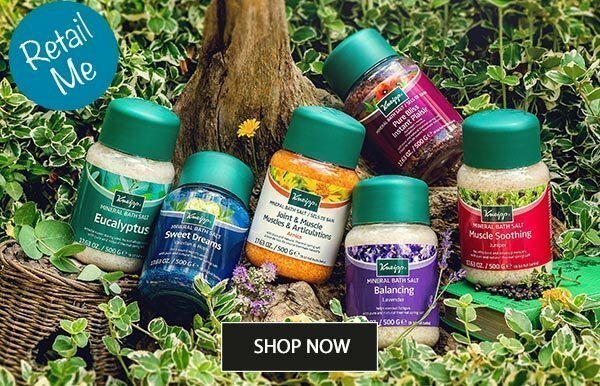 Kneipp offer a range of Mineral Bath Salt Crystals, Herbal Baths, Body Washes, Massage Oils. Explore our pure and natural Knepp Mineral Bath Salt Crystals with essential oils. These salts are formulated with the purest natural plants and herbs, free from modern pollution and chemical additives. These aroma intensive natural essential oils help to bathe away daily stress, strain and fatigue. Each Kneipp herbal bath is formulated with beneficial levels of quality plant essential oils, hosen to enhance body and mind. Packed with valuable essential oils and plant derived active ingredients, each body wash has been specifically formulated to bring the benefits of herbal bathing to shower lovers. 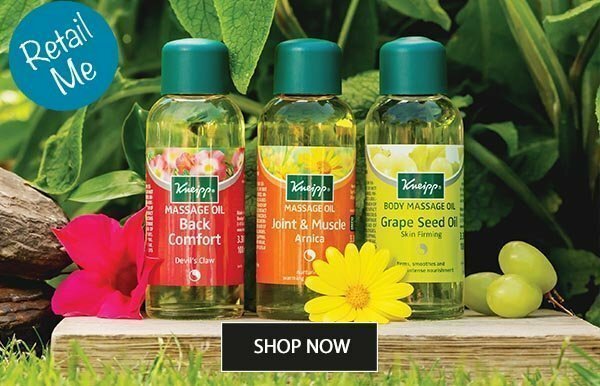 Formulated with essential oils to nourish the body and mind, our Kneipp massage oils are perfect for everyday use. Containing Vitamin A & E, they absorb quickly into the skin, leaving no greasy film - resulting in soft, smooth and luxuriously supple skin. 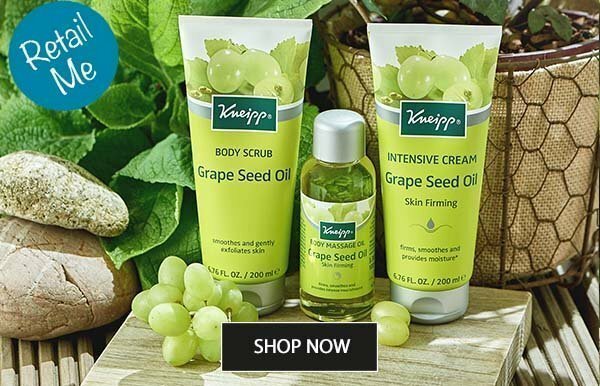 Designed to firm, smooth and nourish the skin, this unique combination of high-quality Grapeseed Oil, as well as Sandalwood Fruit, is known to firm and increase tonicity. 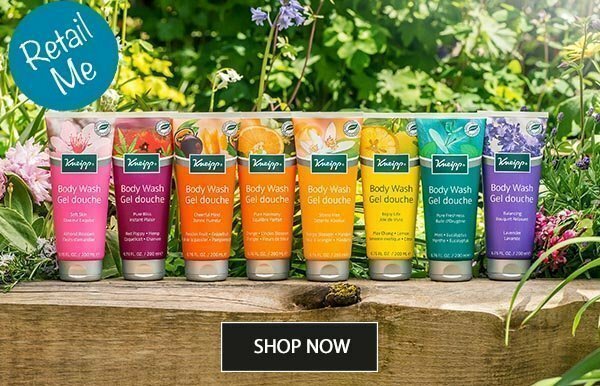 Perfect for retailing, these are for Kneipp lovers everywhere.